A backbench rebellion against plans to overhaul the laws governing gambling has failed but the government had a much reduced majority. MPs approved by 286 votes to 212 the second reading of the Gambling Bill, which tightens regulation but allows for super casinos to be opened. Culture Secretary Tessa Jowell said her plans to overhaul the laws would protect the "weak and the vulnerable". But 29 Labour MPs still voted against with about a dozen more not voting. Along with opposition MPs, they fear a rise in gambling addiction. They say the changes will open the doors for a large number of super casinos to open in UK towns and cities with unlimited payouts. Ms Jowell insisted the shake-up would give Britain the world's toughest regulatory regime but she acknowledged feelings were "running high" over plans. She told MPs she was surprised at the "level of fury" her Bill had prompted. But she stressed the plans would also ensure the removal of slot machines from places where children could get access to them. She also argued problem gambling would increase if laws were not overhauled. But Ms Jowell said, as she introduced the Bill at its second Commons reading, she was prepared to consider MPs' constructive suggestions for changes to the planned overhaul of gambling laws. She also offered two concessions to try to appease her critics. Local councils could be obliged to consult people on whether they wanted a so-called "super-casino" in their area. Action would be taken to prevent casinos getting planning permission "through the back door" by closing a loophole in planning rules. Ms Jowell also promised more research on addiction before the Bill becomes law, but said there would be no cap on the number of new casinos. 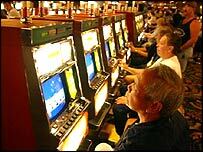 Despite her assurances Conservative spokesman John Whittingdale argued: "What the government is proposing to do is introduce a kind of casino never before seen in this country. "Their proposals open the door to a very large number coming into the hearts of our towns and cities." He said that although the government claimed only 40 casinos would result from the legislation, no limits on the numbers were set in the legislation. He wanted ministers to curb the number of unlimited payout category A machines - those with unlimited prize and stakes. Under proposed rules up to 1,250 would be allowed in each casino. The Liberal Democrats said it was "positive" that Ms Jowell was prepared to make concessions. But the party was planning to vote against the plans because it did not control the introduction of super-casinos, Culture spokesman Don Foster said. Labour MP Stephen Pound was among the 11 backbenchers who signed a Commons motion calling for changes to the bill. He called the plans a "money-making machine" that would "lure people in". Former Labour health secretary Frank Dobson said the plans went "contrary to the party's normal, slightly paternalist, slightly puritan image" and were bad for hard-working families. 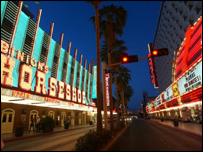 "There's no public demand for it and it's coming from American gambling companies," he said.